A major renovation of Fielder Plaza, one of the oldest grocery-anchored retail centers in Arlington, will commence in early March in an effort to modernize the landmark center which opened in 1978. 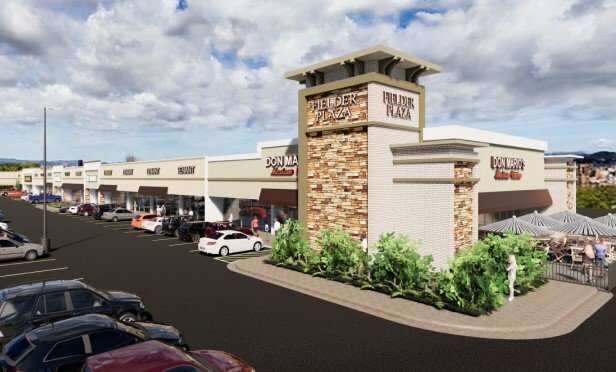 The 157,575-square-foot retail center is located at 1701 W. Randol Mill Rd. at Fielder Road. ARLINGTON, TX—While power centers often grab the headlines, neighborhood centers are the workhorses to which shoppers gravitate on a daily basis. With those daily needs retailers in mind, a major renovation of Fielder Plaza, one of the oldest grocery-anchored retail centers in Arlington, will commence in early March.